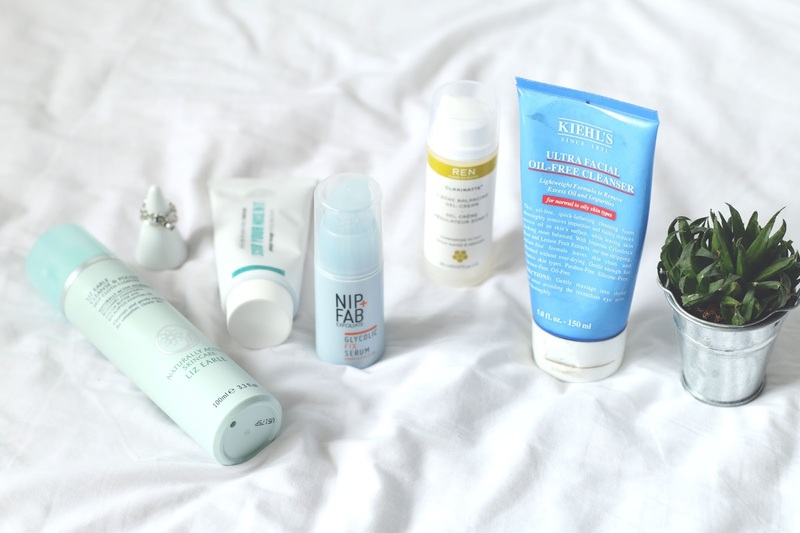 I think this is the third skincare routine post I’ve done, I kind of have an obsession with skincare products and love trying out new bits..
You’ve probably heard this product being raved about a billion times but now but it is really good. I use this to take off my makeup most days, if not this then it’ll be my Garnier Micellar Water. This breaks down makeup so nicely, and turns from a creamy formula to a sort of oil based one. You just wipe this away with the muslin cloth and your face is left feeling so silky soft. I think this has featured a few times on my blog but I love it. Kiehl’s products are known for being pretty amazing and of course this is no exception. I like to double cleanse because it makes me feel more clean. This cleanser is non foaming, which I heard is better for your skin? Anyway you just apply this to a damp face then wash off with warm water. It doesn’t have a scent to it either which is nice and it helps to get rid of any makeup that might still have been looming from the last cleanse. I recently dedicated a whole post to this wonder product, which you can read here. I don’t use this product daily, obviously because it would damage the skin. About once a week I will use this across my nose and T-Zone. My T-Zone tends to get quite oily so this helps to control those oils, but around the edges of my nose gets very dry so it also helps to get rid of any dry skin. This works like a treat and smells really good. A product never to have been mentioned on this blog and I’m not sure why because I love this stuff! Before this I’d never used a serum as I didn’t see the point and to be honest, I was lazy. I’d seen posts about Nip + Fab and heard they were good so had a little search around. I came across this on Amazon and it was about half the original price, so I snapped it up. This smells like grapefruit which is just insane and it feels so refreshing on the skin. I apply this before moisturising and let it sink in. I think its helped to make my skin look a bit more lively, but I just enjoy applying as its so refreshing. The newest edition to my skincare routine. I picked this up off Feel Unique when it had some money off and I couldn’t be happier with it. I’d been looking for a new moisturiser for so long as none had worked that well for me. I spotted this and it claims to balance out your skin, and is aimed towards a combination skin type, which is what I have. So far so good with this, its a very lightweight moisturiser which I really love. It sinks in within seconds of applying it which is such a bonus as I hate waiting around for product to sink into the skin. It smells like lavender which I personally love, as its very spring appropriate and fresh feeling. This has worked well for my skin so far and leaves me with soft looking/feeling skin. 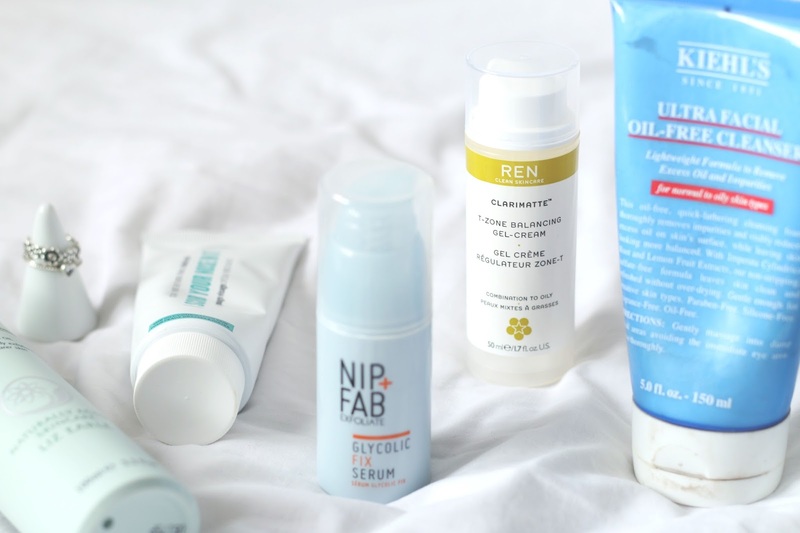 Whats your favourite skincare product?